At the Oscars red carpet last night we witnessed many iconic film—and fashion—moments that we will be referencing for years, if not decades. Jennifer Lopez wore an insanely intricate Tom Ford dress with mirrored mosaic details, Olivia Colman was the queen of the red carpet in her regal Prada gown and Lady Gaga wore one of the most expensive diamond necklaces in the world. The gowns at the ceremony were certainly beautiful, however, it's at the after-parties where you'll find the more risk-taking outfits. Lopez changed into a Zuhair Murad Couture dress with a fan detail across the bodice and an open slit on the skirt, while Kendall Jenner wore one of the most daring leg slits we've ever seen on a red carpet. Newlyweds Miley Cyrus and Liam Hemsworth attended the Vanity Fair party, with Miley wearing a black sequin plunging gown by Saint Laurent. Lupita Nyong'o missed the red carpet this year but wore an exquisite white feathered Oscar de la Renta gown to the Vanity Fair party. Keep scrolling to see the best 2019 Oscars after-party outfits. 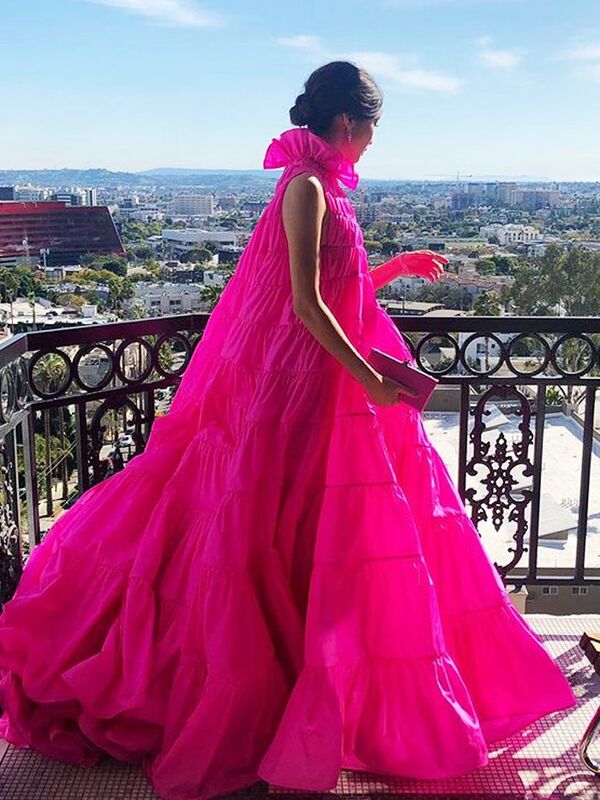 Next, see all the best looks from the 2019 Oscars.